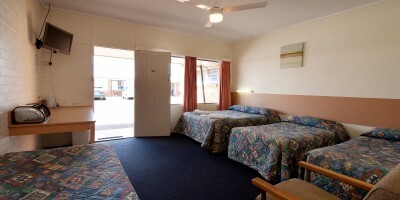 Relax in quiet comfort in one of our 22 immaculate guest rooms with ensuite bath, free WiFi and more. Unwind with a poolside rest after a busy day of business or pleasure. Planning a conference, party or family affair? Take advantage of our facilities, amenities and group discounts. 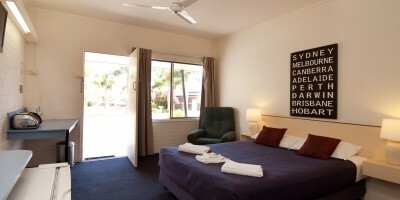 Maryborough Motel and Conference Centre is fortunate to be along Queensland Australia’s Fraser Coast, home of Fraser Island’s land and water adventures, Maryborough’s historic sights and the natural beauty of Rainbow Beach and sparkling Hervey Bay. Fraser Island, the largest sand island in the world and designated World Heritage site, is a treasure trove of rainforests, woodlands, freshwater lakes, wetlands, coastal heaths and sandy dune beaches. Explore a variety of ecosystems at Great Sandy National Park, Aboriginal archaeological sites and European settlement landmarks. Snorkel the waters of Rainbow Beach or Hervey Bay, or embark on a Tag A-Long land tour to explore the island in a 4WD vehicle. Visit sea turtles underwater at a world-renowned dive sites like the Great Barrier Reef or watch dingos play in their natural environment on a Fraser Island Cool Dingo tour. Taking in Maryborough’s colonial architecture and public art are worth a trip to this historic city. Fans of Mary Poppins will enjoy visiting the bank building where her creator, Pamela Lyndon Travers, was born in an upstairs dwelling. Experience colonial justice at the Town Hall Green, site of the city’s first courthouse, police station and gallows. Visitors must experience Portside and enjoy its many pubs, museums and art gallery housed in beautifully restored buildings. Take a walking tour given by nineteenth-century guides whose well-loved yarns bring Australia’s captivating history to life along Maryborough’s colonial streets. Join the Mary Widow and The Undertaker of Ghostly Tours and Tales to hear some ghastly stories from Maryborough’s dark past. For more details about the Fraser Coast and its plethora of offerings, please visit www.visitfrasercoast.com. No matter what your reason for travel, be it business, family or sporting event, we delight in providing every convenience needed to ensure your holiday or special event is a splendid one. Call or click to find out how we can be of service. We look forward to meeting you. Our superior queen rooms are perfect for a cozy night for two and feature one queen-sized bed, glass shower ensuite bath with glass shower, free WiFi and more. Our standard single rooms are perfectly suited for the individual traveller, with an ensuite bath, free WiFi, onsite laundry and more. Our standard double room easily accommodates up to four guests, with one double and two twin beds, ensuite bath, fridge and more. For families on the go, our standard family room easily accommodates up to five guests, with one double bed, three twins, ensuite bath, fridge and more. Our standard triple single rooms are perfectly suited for a group of three travellers, with an ensuite bath, free WiFi, onsite laundry and more. Host your next event at Maryborough Conference Centre, where you have your pick of three meeting spaces, 22 guest rooms, onsite catering, full bar and more. 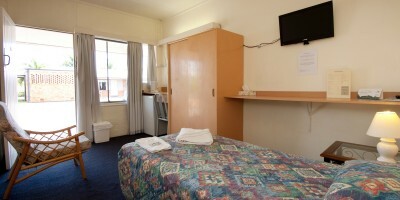 Maryborough Motel and Conference Centre’s wide range of meal and accommodation packages make family, social or corporate gatherings convenient and affordable.